Rocky needs a pure tablet on the market is increasingly large. Do not trust in the quality of the stone tablets on the market, many restaurants, hotels, Cafe has outfitted may lam tinh khiet skin to serve internal needs and self-reliance on food safety. However, the majority of the pure ice manufacturing import requires water supply source for the machine must reach a certain number of criteria. 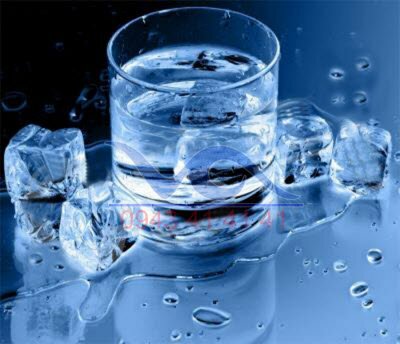 To avoid the phenomenon of ice being opaque, bacterial infection, it should have the appropriate water treatment. A lot of very good though Park ice machine, worth many thousands of dollars but still give out these scratch the stone tablets were opaque, not transparent. According to the physical properties of water, to see the cold pure water will freeze first and rise above. Water contains minerals that will settle to the bottom of the ice tray and freeze more slowly. This phenomenon creates the stones have 2 different sections. To end the phenomenon of ice being opaque, no longer needs to ensure the water supply at the source minerals. Can be solved by the method of softening the mineral filter or reverse osmosis desalination plants. It is hard to bear when processing the very tasty drink but when the stones appear the unpleasant odor. Majority of ice machines take water from marine sources of capital Bureau contains more chlorine disinfectant. To ensure the pure tablet stone does not smell weird, need to eliminate most disinfectant residue by the core filter activated carbon (Activated Carbon). This phenomenon is rarely fought but if water contains iron, after a period of use, the ice tray, plumbing will red margins, causing the loss of America. Can handle this phenomenon by the iron filter core. This is a scary thing for the user. When frozen, most bacteria do not "die" that they tentatively "hibernation". When the ice melted, the temperature of the environment rises gradually, is at the wake of harmful disease màm. The user needs a water source supply for sterilized and hygienic air regularly according to the manufacturer's instructions. There are many ways to disinfect water supplies without the use of chemicals: UV germicidal (UV) filter, filter membranes by biological bacteria (Hollow Fiber membrane, Nano, RO). -Air Filtration reverse osmosis RO 5 levels filter, 10-20 litres/hour.